Would you like to know more about Bush stone-curlews? Nature Conservation Working Group has produced resources to help students and the community learn more about Bush stone-curlews and their conservation. Are you a teacher or a student and want to know more about Bush stone-curlew conservation? 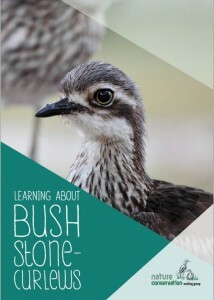 The ‘Learning about Bush Stone-curlews’ Schools resource includes a wide range of activities to help students learn about curlews, and the main issues facing their survival in southern Australia. The resource is aimed at students from Years 3 to 7, but there are activities relevant to a wide range of ages and interests. If you would like to be mailed a hard copy please contact us at ncwg@bushstonecurlew.com.au. 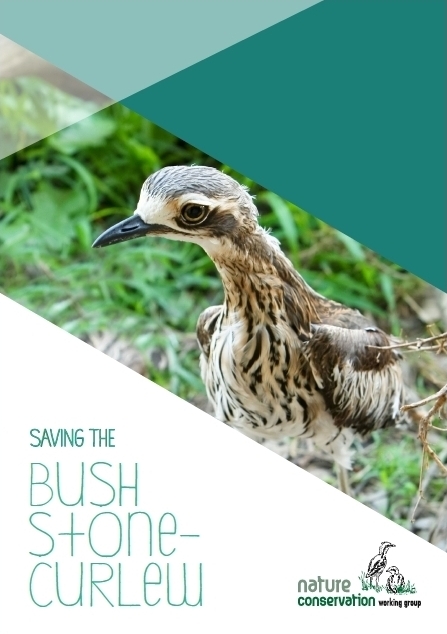 Nature Conservation Working Group and Murray Local Land Services have developed a brochure about bush stone-curlews, and practical information about how to help conserve curlews on your property. Contact us if you would like us to email you a copy, or send you a printed version.